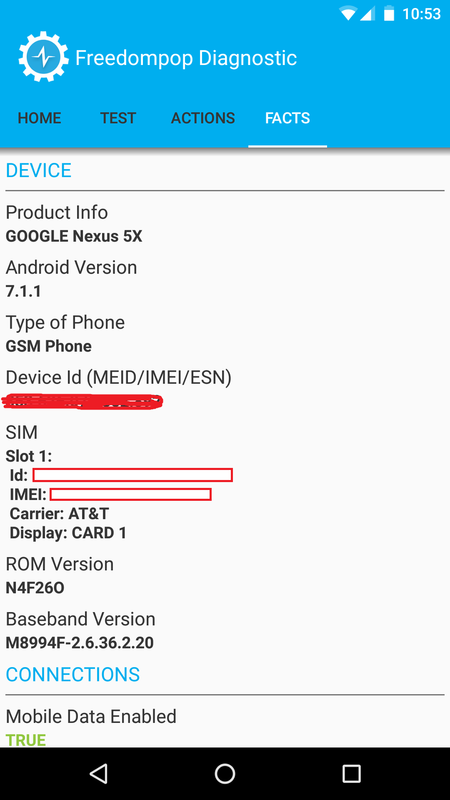 Hello, I activated my FreedomPop account and Sim card, and I followed the instructions to set up the APN correctly. Also turn on the Data Roaming. I also receive the fist text message from FreedomPop to confirm my verification code. I did all these while on WiFi. Great. However, I later found that, without WiFi, the phone cannot call out nor receive any calls. 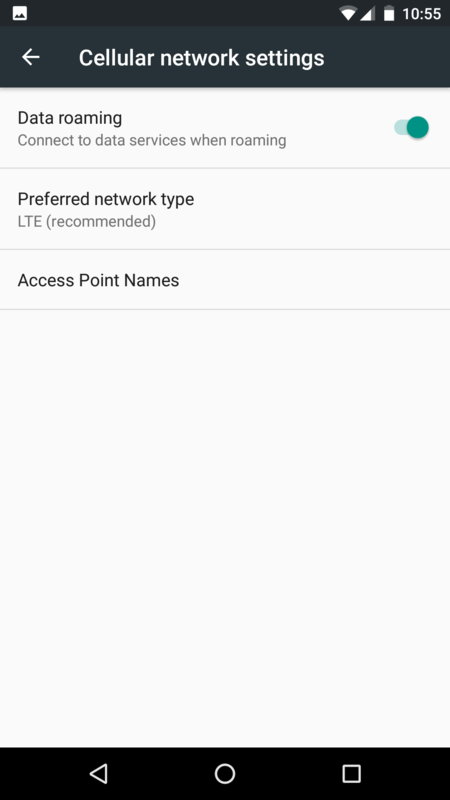 Also, even with Mobile Data Plan turn on and seeing full bar of AT&T cell signal, there is just no mobile data connection. 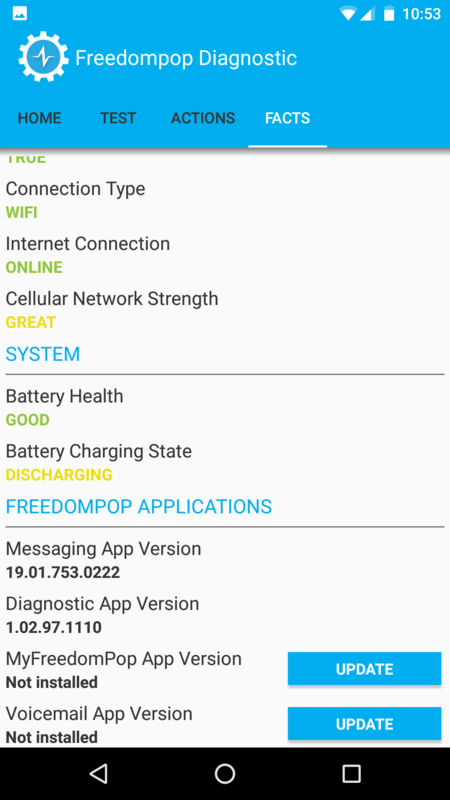 1) Download FreedomPop Diagnostics, and perform the "Dial Soft Reset" action. 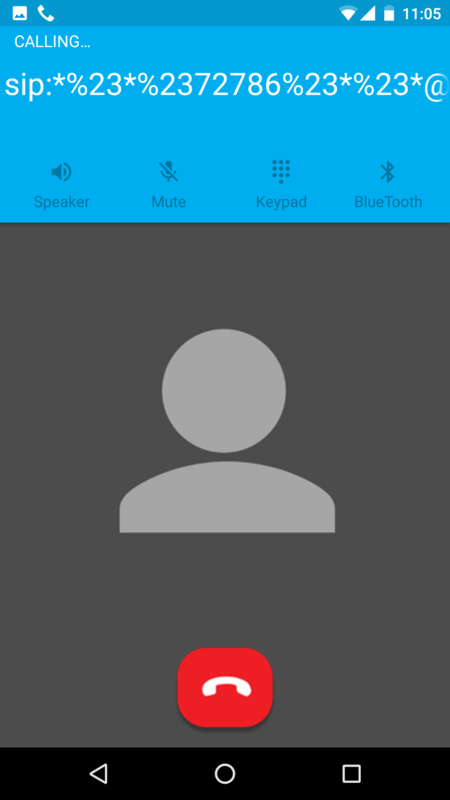 Phone dialer shows up, and I entered *#*#72786#*#*. Now here's the interesting part. 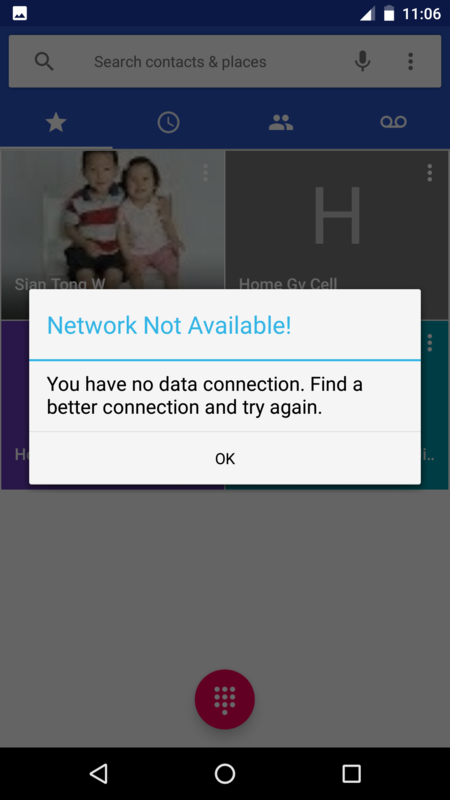 If WiFi is off, the error message would pop up stating "Network Not Available", as seen in picture file "NetworkErr1". 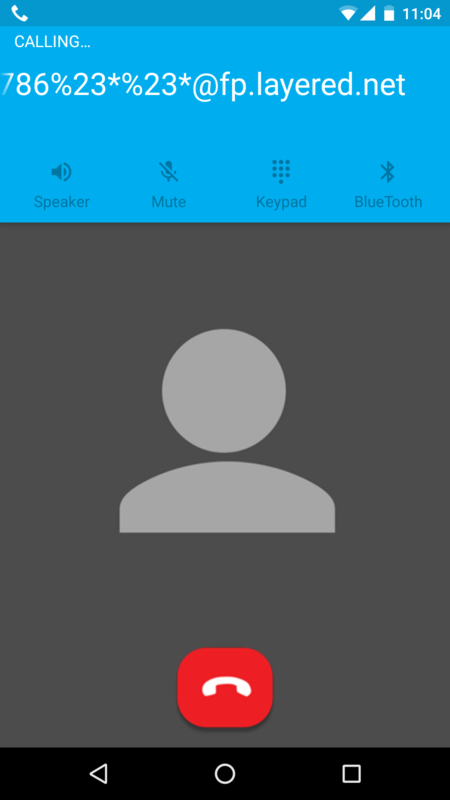 With WiFi on, it would proceed to call out (through FreedomPop Messenging interface?) to a SIP adddress, as seen in picture "Dial1" and "Dial2". 2) I also attach pictures of my APN settings, as seen in "Set1" and "Set2". 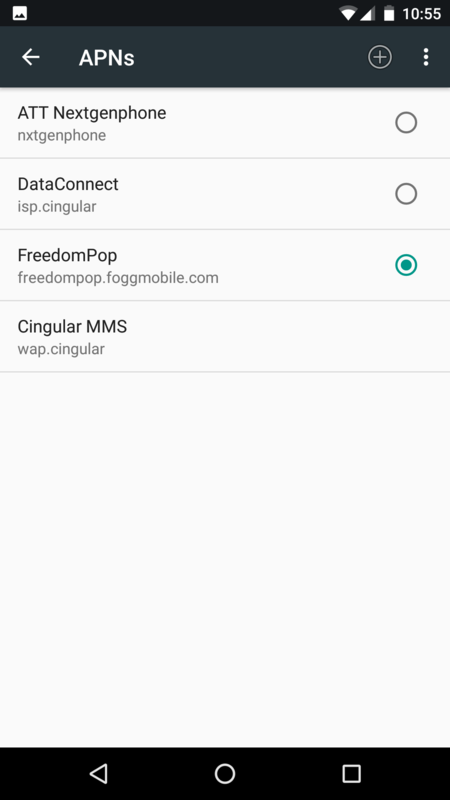 3) I also attach the pictures of FreedomPop Diag facts about my phone. I have restarted my phone a few times throughout the settings change and diagnostics. I have also perform the Hard Reset Dial through "*#*#786#*#*". All in vain.